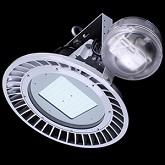 Thirty Six high power Cree X-Lamp LED's mounted on metal core printed circuit board material, no UV rays, instant on-off, patented heat sinc and optical diffuser, longer life that metal halide, wide voltage and constant current design, solid state, high shock and vibration resistant, mercury free, no noise or heat generated, Ul listed. IP65 outdoor wet and dry location rated. 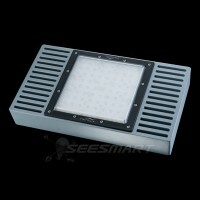 Click the button below to add the 50 WATT 5500K LED LOW BAY FIXTURE 120/277V to your wish list.